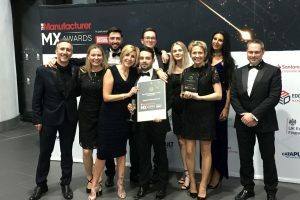 Sencon has been awarded Apprentice Employer of the Year 2018 in recognition of the company’s long-standing apprenticeship programme, which has benefitted the wider industry as well as the company and the apprentices themselves. The judges’ decision was based commitment, motivation contribution, and success of the company’s scheme. Managing director Paul Craddock said: “As the beneficiary of an excellent apprenticeship myself, I have always valued this form of entry into the workplace. 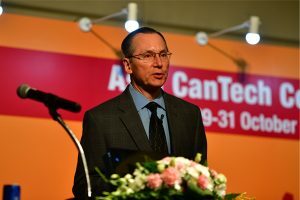 It is the best means of building the base knowledge, practical skills and disciplines that are 100% relevant to the roles and jobs that we have here. 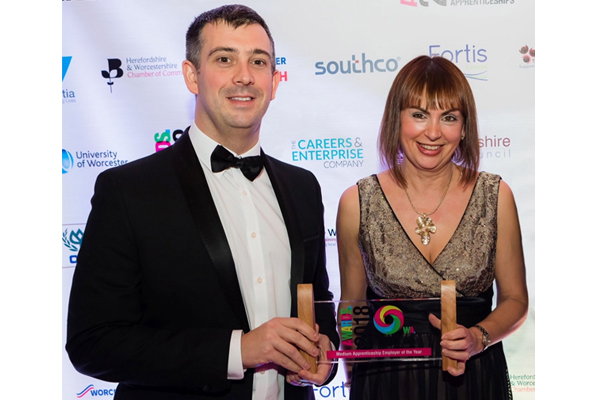 Richard Craddock, operations director, and office manager Siobhan Bourn, collected the trophy at the recent Worcestershire Apprenticeship awards night in the UK.